Starting a new copier lease isn’t always the most fun project. It can be a struggle to know who is really on your side. So many machines look similar and it can be hard to tell the difference if you are not well versed in copiers. That’s why you want someone on your side when your start looking for a new copier lease. Starting a new copier lease doesn’t have to be stressful as long as you work with someone you trust, and know what you want ahead of time. Doing a little research before talking with a representative is very important to not getting ripped off. Even a base level of understanding can help you a lot later on. Try and do some research to figure out what you think you need. Here are some questions to ask yourself before talking with a salesperson. What kind of jobs will I need to do? What media sizes am I working with? How many people will be using the copier? Are there any special jobs you think you will need done? What do you think is your monthly duty cycle? Knowing the answers to questions like these will help you protect yourself. Stick to your idea and don’t get tricked into buying what you don’t need. Also, always remember to question your leasing agent. Find out if they are someone you feel you can trust. Don’t let shady salespeople trick you into spending more because you thought they were a friend. 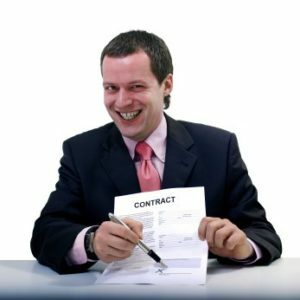 Be skeptical when starting a new copier lease. Do your research and make sure you are working with someone you trust. From there it’s up to you to make the best decision for your business.